Istanbul is Europe's most populous city (the world's 4th largest city proper and 20th largest urban area) and Turkey's cultural and financial center. The city covers 27 districts of the Istanbul province. It is located on the Bosphorus Strait, and encompasses the natural harbor known as the Golden Horn, in the northwest of the country. Land Area – 98.2 sq km. Port Location - Istanbul is the principal port of Turkey, located at the mouth of the Bosphorus on the Sea of Marmara and comprising several ports. Passengers disembark at Karakoy piers. 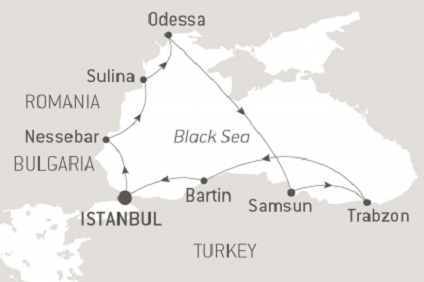 Transport Links – Istanbul can be reached by air, bus and train from most major European countries. 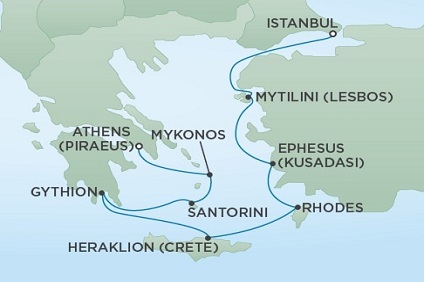 7 Night Splendours of the Aegean cruise departing from Istanbul to Athens onboard Le Bougainville. 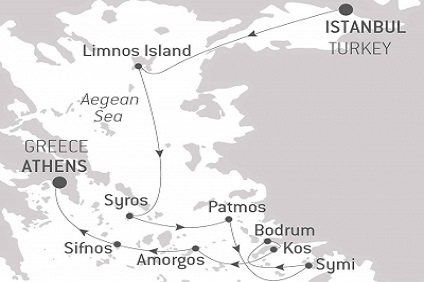 9 Night Cruise sailing from Istanbul roundtrip aboard Le Bougainville. 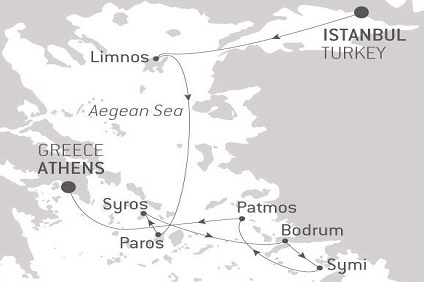 7 Night cruise departing from Istanbul to Athens onboard Le Lyrial. 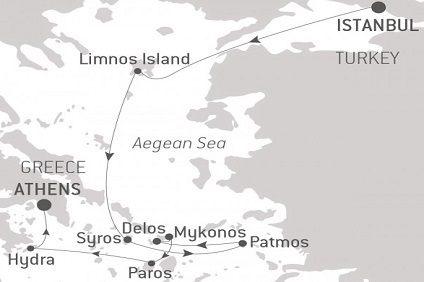 9 Night Cruise sailing from Istanbul to Athens aboard Le Bougainville. 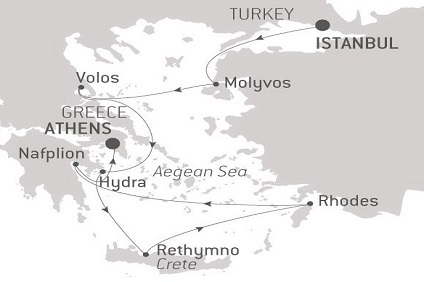 8 Night Cruise sailing from Istanbul to Athens aboard Seven Seas Voyager.